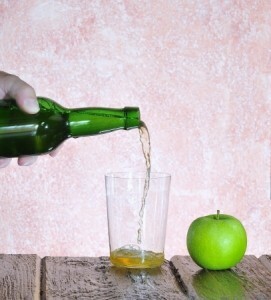 Now you have your fermented apple cider you need to bottle it and store it. The main principle for longer lasting cider is to keep it in a cool place. There are many bottling options to choose from when you come to store your cider. 1. Use any old swing top hombrew bottles (Grolsch style) bottle. You can at times buy these at Ikea or try homebrew suppliers. 2. Strong beer bottles. You can use your own or purchase from a homebrew supplier. For bottles without tops you will need to obtain caps and a bottle capper. Note of caution if you damage a bottle whilst fitting a cap, throw it away! Bottle cappers don’t need to be expensive you can get them for around £20-£30. 3. Try using some bottles and maybe putting some in a pressure barrel. 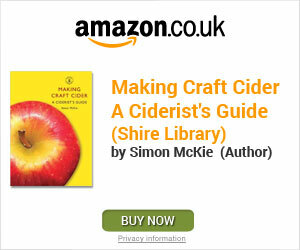 However, the cider may not stay fresh for as long as being stored in air tight bottles. 4. Another good option is to use screw cap bottles. 5. An alternative option is to use a manucube (bag in a box) similar to a 5L wine dispenser box. 6. You could always use a 5L plastic screw top container. Note cider can have a tendancy to explode when stored in these types of containers. So you may need to drink it within 1-3weeks. 7. And for those who like to entertain you could always be ready for your social gathering and use a beer dispenser. 8. Whilst you in the process of bottling why not pour some into a jug ready to drink later. Ensure that any equipment used is clean and try to keep your cider in a cool place.